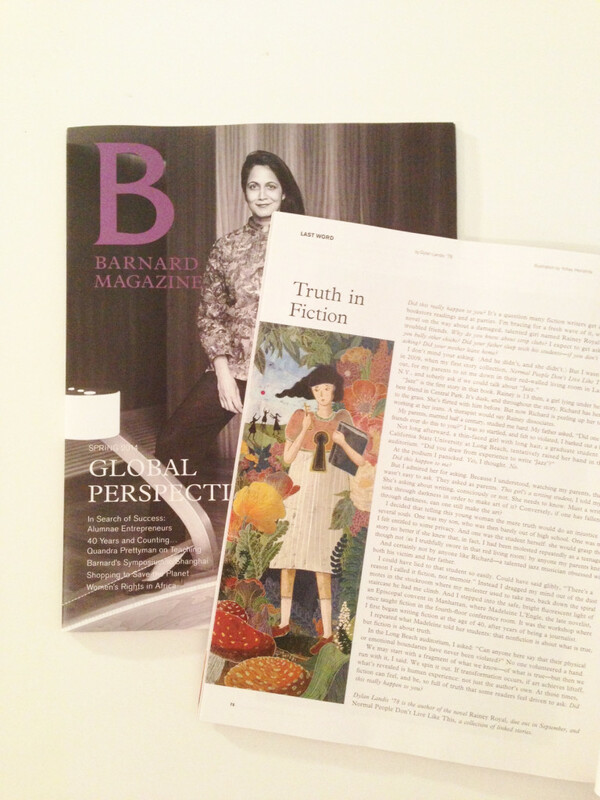 Description: Editorial piece for Barnard Magazine (AD. Christine Navin,) and the story Truth in Fiction written by Dylan Landis. It is a story of the young, talented, but damaged girl named Rainey Royal and her troubled friends.